Swagtron has emerged as the leader in hoverboards and electric rideables, and has set the standards for quality electric two wheel balance boards and now electric bikes, scooters, skateboards and cycles. This epic resource for all things Swagtron will be your guide for any information, purchasing decisions, reviews or general advice you need about Swagtron products and services. Enjoy! - Times Square launch of Swagtron - see it here! - Swagtron T3 Independence Day poster anyone? Want to see all Swagtron colors in full glory? Click here. Here is how much a Swagtron hoverboard is for. This will give you an idea about the entire Swagtron range of hoverboards, e-skateboards, e-cycles, e-bikes, e-scooters and more. You can check them out either on the Swagtron website or on Amazon. These are the two places that we recommend you buy Swagtron products from, as you will get genuine products the lowest prices. Up to 30° incline on mud, grass, rain, and even gravel. Control panel show speed and battery life. First e-skateboard powered by A.I. SwagTron History - Launch in Times Square, New York – Ready to rock the world in 2016! SwagTron in Times Square, New York, ready to rock the world! The huge hoarding covering almost the entire structure featured a Golden coloured SwagTron T3 that truly looked like a hoverboard from the future. The SwagTron launch almost took over the entire Thomson Reuters building right in front of Hard Rock Café, and announced the arrival of the world’s first UL 2272 approved hoverboard. SwagTron will be available in two models the SwagTron T1 and the SwagTron T3. The T3 will have additional BlueTooth speakers and will have a multi-featured SwagTron App to remotely control and set up the SwagTron T3. The world’s first UL 2272 hoverboards, SwagTron, is the epitome of safety and technological advancement with an array of safety and functional enhancements that leave other hoverboards far far behind. The biggest safety feature is the patented Sentry Shield Battery System that has a separate UL 2271 listing of its own, and which is the world’s first electric scooter to have passed UL’s original 10-ton battery crush test. The Sentry Shield battery system is a multi-layer safety system for the li-ion battery comprising of a special aluminum chamber that will encase the battery. The chamber is fire-proof and also damage-proof. Other industry leading advancements include a Smart Battery Management System which will prevent overvoltage, overcurrent, overcharging and short-circuits. The SwagTron will also feature a special fire-retardant body made from polycarbonate which is stronger and lighter. There has been enhancements in the hardware and the software, enabling greater stabilization, and the very highest standards of safety in the world. The foot pads are also fire-retardant and are non-slip and wider for a better riding experience. SwagTron has already taken over Times Square in New York, now it will take over the world of hverboarding with the SwagTron T1 and SwagTron T3 which are clearly the safest, most advanced and smartest hoverboards in the world today. Swagtron History - SwagTron T3 HAS ARRIVED! 12 days before Independence Day. UPDATE: SwagTron T3 already launched! SwagTron T3 has launched 12 days before Independence Day. Click here to buy. The whole world has been waiting for the SwagTron T3, and the best hoverboard on the planet is finally here! If you’ve been waiting for it, you can now get it. You can now own the most advanced hoverboard on the planet. Have a look at this ​go here that will tell you all of its amazing features in a glance. If you want to read a detailed review of the SwagTron T3, go here. The price difference between the SwagTron T3 and the SwagTron T1 is a hundred dollars, and the reason is the High Quality BlueTooth speakers, the SwagTron T3 app that starts the Pro Mode in the hoverboard, the five level battery indicator, the ultra-futuristic looks and some other additional features of the SwagTron T3. 16. Fire retardant silicone coating on wires, circuit boards etc. If you are still not convinced then read this detailed review. Swagtron History - Swagtron is the Best Hoverboard! The SwagTron, Hoverboard has been credited with the power to bring back the hoverboard craze single-handedly, by none other than www.mashable.com. That itself should tell you reams about this amazing hoverboard that has taken the entire hoverboard industry in the United States by storm. One thing is for certain, this is no lucky streak for the SwagTron. It has achieved its status of the best hoverboard in the world today, through sheer innovation, customer centricity and commitment. The makers of the SwagTron, Hoverboard are the erstwhile Swagway, which is now known as SwagTron. The CEO of SwagTron, Johnny Zhu, had showcased this industry hanging overboard first in the CES 2016. At that time itself, it had generated a lot of interest and had been covered by all the leading technology blogs and websites. Today, in the entire United States that only two wheel hoverboard with UL 2272 certification is the SwagTron. All this time hoverboards were not safe to buy as the CPSC had stated that unless they have UL 2272 certification a hoverboard is not deemed safe to retail, import or buy. Thankfully Swagway went full steam ahead to design a new hoverboard which is safer, more advanced and smarter. The SwagTron hoverboards are not only UL 2272 certified, they also have the Sentry Shield Battery System that is unique and patented. This Sentry Shield Battery System has enabled the SwagTron hoverboards to become the world’s only self-balancing hoverboards to pass the original UL 10-ton battery crush test. Their Smart Battery Management System also makes them much more advanced than any other hoverboard in the market. The SwagTron became the world’s first UL 2272 certified Hoverboard. A milestone in itself, as other hoverboard companies were left contemplating about it, while SwagTron went ahead and collaborated with UL, Underwriters Laboratories, and helped define the safety and quality standards for the industry. SwagTron went ahead and invested in extensive research and development to redefine and completely transform the hoverboard they were offering, the SwagWay X1, into the SwagTron. The benchmarks were very high, as the UL 2272 standard had extremely rigorous and difficult tests, including crashing, dropping, heating, overcharging, stress and much more. The SwagTron however, was designed around a completely new battery safety system called the Sentry Shield Battery System. This helped the SwagTron to not only become UL 2272 certified, it also helped the SwagTron pass the original UL 100-ton battery crash test,making it the first electric self-balancing scooter in the world to have done so. SwagTron had set out to achieve new standards, and surpassed expectations, with an unprecedented level of safety and function for the entire self-balancing scooter industry. The launch of the SwagTron was an event that took over Times Square in New York. However, the SwagTron craze had begun well before that when it was soft launched. As people got to know about the SwagTron, they started to buy the SwagTron T1 in large numbers. This was even before the flagship model the SwagTron T3 had been launched. When the T3 launched in June 2016, it started the real craze for SwagTron hoverboards. Soon the world’s safest, best and smartest hoverboard caught the imagination of the people of America. As people realized the amazing levels of safety, performance, and quality that the SwagTron, Hoverboard were bringing in, they really took to the brand. In fact, the decision was mostly about which one to buy, the SwagTron T3 or the SwagTron T1. Their levels of safety and quality were beyond question. Now it was all about how much you wanted in your SwagTron, Hoverboard. The T3 had high-quality Bluetooth speakers, a futuristic redefined design, a smartphone app and several other additional features. However, the safety features and core enhancements were exactly the same in both. Besthoverboardbrands.org came up with the first and as yet most detailed comparison chart between the T3 and T1 that has 25 points of comparison. Today, the number of SwagTrons being sold every day goes into very high numbers. The hoverboard craze is restarting in the United States, and it is all because of one incredibly safe, smart and high-quality Hoverboard – the SwagTron. Happy hoverboarding again America! Swagtron is top of the line! Don’t waste your time looking for the world’s best hoverboard, it’s the SwagTron and it is just a click away from being shipped to your home. Sounds a bit too definitive? Read on, and you will be as convinced about it, as we are. Still confused about the safety of hoverboards? A lot of Americans are still not sure whether it is safe to ride a hoverboard, or which is the safest and best hoverboard to buy. In this post, I intend to clear away those doubts and explain just why you should buy yourself a SwagTron hoverboard and save yourself the time and indecision of whether or not to buy a hoverboard and which is the best hoverboard to buy. A little bit of history before we get into the meat of the post. Hoverboards emerged sometime in 2014, when Shane Chen an inventor in Seattle, got his Hovertrax design patented and then got them manufactured in Chins, primarily because he is a Chinese who is settled in the United States. That one hoverboard caught the attention of the world, and most of all of the thousands of manufacturers in Shenzhen in China, and before anybody knew what had happened millions of hoverboards were being shipped from China to the United States. To cut a long story short, cheap components used by Chinese manufacturers to make hoverboards masse in an uncontrolled and unmonitored industry resulted from inhoverboards catching fire in the US. It became so bad that they were banned in many places and finally barred from being sold in the US. Then a new US Govt. approved standard was introduced called the UL 2272. Swagway which was then manufacturing a hoverboard called the Swagway X1, collaborated with Underwriters Laboratories (UL) to set the safety and quality standards for the US hoverboard industry. They were the first to come out with a UL 2272 approved hoverboard, the SwagTron. The SwagTron immediately caught the eye of buyers, and Mashable went on to say that it could bring back the hoverboard craze single-handedly. Patrick who is in high school in New Jersey really wanted a hoverboard, but his dad a mechanical engineer in a leading construction company was dead against it. His dad Paul, had read about hoverboards on the internet and knew that they were unsafe, and could catch fire and cause harm. Patrick, who is fourteen, was very keen on getting his own hoverboard, so he decided to do a little research of his own. He came upon a website about hoverboards that had a lot of information on the SwagTron, it was www.besthoverboardbrands.org.That’s where he found a wealth of information about hoverboards on the whole and specifically about the SwagTronhoverboards. Soon Pat knew everything about UL 2272, how SwagTronhoverboards were US Govt. approved, what tests the SwagTrons had passed, their biggest safety features like the Sentry Shield Battery System and the Smart Battery System, as well as the enormous number of other features and enhancements like a fire-retardant polycarbonate body, fire-retardant foot pads, fire-proof silicone coating on internal components etc. It was time to revisit the idea of buying a hoverboard, and Pat told his father about the SwagTron. Paul however , was not fully convinced, after all, how can what is written on a website be taken to be the absolute truth. That was when Pat gave him a bit of information that turned the tables. Pat had seen in an article on www.besthoverboardbrands.org that the SwagTronhoverboards were actually listed on the UL website as a UL 2272 approved. He managed to show his dad the exact links on the UL website as well as the information about UL 2272 that was already there. There was no doubt now that the SwagTron hoverboards were absolutely safe, and Paul himself became interested in them. That was when the battle for SwagTron T3 or SwagTron T1 began. Again Pat showed his father a detailed comparison of the SwagTron T3 and T1 on www.besthoverboardbrands.org, and it was clear that though both were absolutely the same in terms of safety, quality, smart technology, and certifications, the SwagTron T3 had some add-ons that were quite cool. Three days later, a SwagTron T3 was delivered to Patrick’s home in New Jersey. It was one of the happiest moments in his life. However, the story doesn’t end there. Within a few days, it was clear that there was another battle on their hands. Both Pat and his dad Paul were equally interested in the SwagTron now. The story had an even happier surprise when Paul secretly ordered a SwagTron T1 for himself. And now, it is Pat’s mother who is slowly getting into the hoverboard craze. If you are also wondering whether to buy a hoverboard or not and which one to buy, we suggest that you visit www.besthoverboardbrands.org and read up a little bit. Just go through the main articles and you will know everything that you need to make a decision. It is very important for you to realize that the UL 2272 certification is a cornerstone of hoverboard safety and quality. It is our strong suggestion that you should buy only UL 2272 certified hoverboards, that are listed in the UL website, and that you most definitely should not buy cheap hoverboards which have any proper branding or a proper presence in the US or a fully functional customer service cell. And we hope that the decision will be to join the American hoverboarding craze! Swagtron History - Pokemon on SwagTron hoverboard – Pokemon Go hoverboard hunt! Pokemon Go, the Nintendo game that is played on your mobile phone, has the whole world enthralled. It is all about capturing Pokemons which appear in the real world when you look for them through your mobile phone, capturing and adding them to your PokeDex, and advancing as a Pokemon trainer. These Pokemons have been appearing everywhere, from museums to parks to homes to baseball games to funerals to malls to basically anywhere and everywhere. We have seen the internet flooded with pictures of Pokemon appearing on phones everywhere. Here is a picture of a Pokemon that appeared on a hoverboard, and not any hoverboard, on a SwagTron T3. I guess the Pokemon on the SwagTron T3, which is called a Rattata likes hoverboards, and they recognize a UL 2272 certified hoverboard when they sees one. This was posted on Twitter by a young boy in Hoboken, New Jersey, when he caught the Pokemon perched on his new SwagTron hoverboard. We thought this was the perfect story of two rising trends meeting, Pokemon Go and the new generation of safe UL 2272 certified hoverboards. Here are some tips on how to capture Pokemons, if you are into the game or are planning to try it out. When you start, you are given a choice of three Pokemons, but if you walk away from the original three Pokemons a couple of times, a fourth starter Pokemon appears, Pikachu. Look for Pokestops, that is where most Pokemon appear.Walking around is a great way to find Pokemons, they are found more in places like tourist spots or malls. When your phone vibrates to indicate a Pokemon is nearby, go to a safe place and then move your device around till it appears. Hint – Follow the arrows on the side of the screen to find the Pokemon. Tap and hold a Pokeball until the ring around it gets to its smallest, and then flick it at the forehead of the Pokeman. If all goes well, you will have captured the Pokemon. Use an incense to lure Pokemon to you. If you are near a PokeStop use a Lure Patch to bring Pokemans to a stop for 15 minutes. This picture also gave us the idea that if you play Pokemon GO, then you can capture them while riding on your hoverboard. It would work the best if you have the Pokemon wearable, which vibrates when a Pokemon is nearby, so you don’t need to keep your phone out while Pokemon hunting on a hoverboard. The Pokemon wearable is available on Amazon. Just keep the Pokemon wearable on, and when it vibrates, stop your hoverboard and pull out your phone and try to capture it. You need to throw a Poke Ball, aiming at the Pokemon’s forehead, to capture it. If you are a newby who wants to know more about Pokemon Go, we suggest that you start by reading this informative article - Beginner’s Guide to Play Pokemon Go. If you want, you can also check out the world’s safest and best hoverboards, the SwagTron T1 and SwagTron T3. SwagTron gets some competition – Powerboard, Skque, Razor Hovertrax 2, Hoverzon. SwagTron by Swagway has been at the helm of the hoverboard resurrection, and though it still is leading the pack, the competition is catching up. We have had several other hoverboards entering the hallowed portals of Amazon.com. Why are we saying hallowed portals? It’s because Amazon has been extremely finicky about what hoverboards it lists in the website. Rightly so, because they were a fire hazard until some time back. Towards the beginning of the year Amazon had completely and we mean completely removed all hoverboards from their website listings. For several months when you searched for hoverboards on Amazon, all you got was skins and decals and accessories. The first hoverboard that appeared was the SwagTron, of course the Segway miniPRO was there, but you can’t call it a regular hoverboard as it has a knee controlled stick in the middle. Then within the last 30-40 days several new hoverboards started to appear on Amazon. Today we have a total of 4 different hoverboard brands – SwagTron, Powerboard by Hoverboard, Razor Hovertrax 2.0 and Hoverzon. 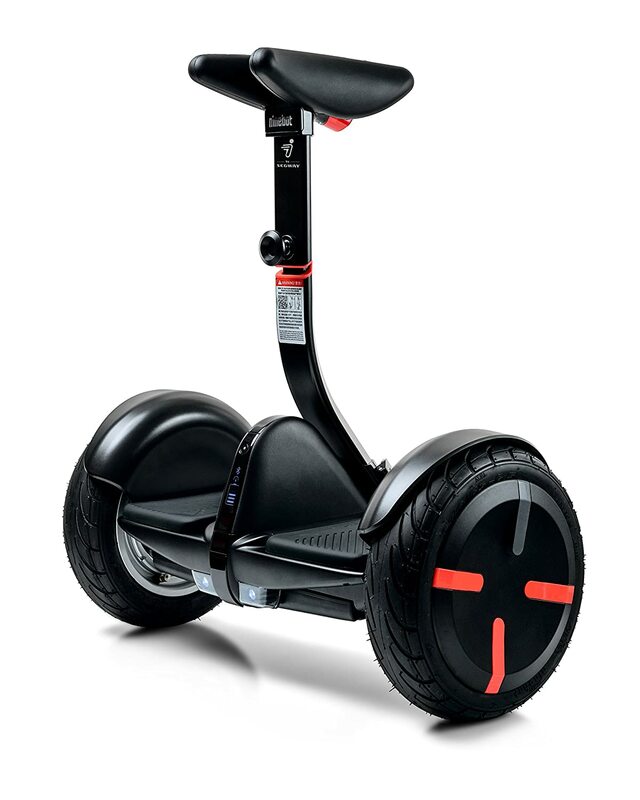 We can also include the Segway miniPRO, which makes it 5. All of these hoverboards are UL 2272 certified, which means they are absolutely safe. A good way to quickly learn about these hoverboards would be to take a look at this comparison chart. NOTE: Prices shown in the table above get updated once every day, and may not be absolutely current. Though several new hoverboards have arrived, the SwagTron still packs quite a punch. They are still the only hoverboard in the world to have passed the UL 100-ton battery crush test, and they are the only ones to have the patented Sentry Shield System and the Smart Battery Management System. You can buy a SwagTron with a $10 discount using our exclusive discount code swag-1163ANDSS directly from the SwagTron website. Another interesting development with SwagTron is their brand new Electric Skateboard the Swagboard which is also quite cool and priced at just $299. You can check it out here. However, the other UL 2272 entrants are also up there when it comes to safety and quality, otherwise they would not be carrying the UL mark. Skque has been around since 2003 in the United States as an electric scooter and related products brand, and has a pretty solid reputation. It is worth checking out the Skque 6.5“ wheel hoverboard here. It has the classic hoverboard shape and has quite robust hardware and software. They have a US office in California and a pretty responsive customer support service. As far a Skque is concerned, you will be buying directly from their website. The Skque website states the refund and 30 day return policy pretty clearly, so there is no need to be doubtful about that. The good thing about Skque is that they also have a pretty wide variety pf hoverboards besides the 6.5” one. A very popular model is the 10” wheel Skque hoverboard which is an off-roader compared to the usual hoverboards. With much larger inflatable wheels, this hoverboard can handle grass, uneven surfaces and bumps and small stones much better. It will take you into places that a regular hoverboad will not be able to. You can have a look at all the Skque hoverboard here. The Razor Hovertrax 2.0 is an evolution of their very popular Razor Hovertrax, and is also another good hoverboard worth checking out. Razor is a world leader in electrical scooters, and their Razor electric scooters have sold in the hundreds of thousands. With their hoverboard the Razor Hovertrax 2.0 getting the UL 2272 certification, it has become a very good option for anyone wishing to buy a safe, smart and sleek hoverboard. The Razor Hovertrax 2.0 is powered by two 350 watt motors, and has a speed of 8+ miles per hour. It also features the exclusive Razor EverBalance technology, which automatically levels the Hovertrax 2.0 making it easier to mount and facilitating a smooth and intuitive ride. Check out the Razor Hovertrax 2.0 here. Powerboard by Hoverboard is another solid option that you have. It has been around for some time and was one of the highest selling hoverboards in the first wave of 2015. Powerboard is a US based company which is an advantage as shipping is faster and also their customer service is responsive. With the Powerboard hoverboard getting the UL 2272 certification, it is well worth checking it out. In conclusion, we can say that all the UL 2272 hoverboard are good to buy, the SwagTron still packs some extra punch. However, the new entrant into the UL 2272 group, the S﻿﻿﻿﻿kq﻿﻿ue is a surprisingly good hoverboard too. So check it out once before you make a choice. ​HOVERBOARD DEALS? - Click here! 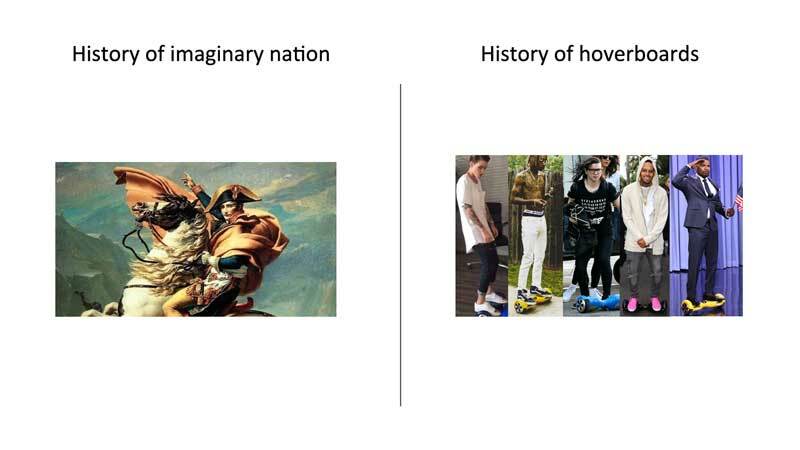 The very brief history of the hoverboard has been no less tumultuous than that of nations whose history goes back hundreds of years. Let us take an imaginary nation and start with its birth many centuries back, and compare it with the two-wheeled hoverboard first appearing in the United States. It began with early settlers finding a fertile valley, where they built a small hamlet. The same period in the history of the hoverboard, saw the idea of a two-wheeled self-balancing hoverboard taking shape, and early adopters taking to it. With plenty of food and water, the settlement began to grow. This was the time when the hoverboard started to get noticed, and around end 2014 and beginning 2015 more and more people started to buy them. As the colony expanded, people from other areas started to migrate to the bustling new settlement. The new sensation, the self-balancing personal transportation device, began to draw crowds. The young and vibrant nation saw dynamic rulers and leaders emerge, who began to expand the boundaries of this settlement. With hoverboards it was the time when celebrities, music stars and social media stars began to use and flaunt their hoverboards, and more and more people began to buy into them. The community grew, there was prosperity, the nation proliferated and population began to increase rapidly. With Chinese manufacturers spotting the opportunity, hoverboards were entering USA in the millions and they were getting lapped up even faster. The true hoverboard phenomenon had taken hold. For the nation it was a time of population explosion as diverse people from all over became a part of it, and in small pockets dissent against the nation began to take hold. With hoverboards, it was a time of unregulated and rapid increase in the sale of hoverboards which were mass produced in China without any quality or safety norms being followed. This was when hoverboards were the hottest Christmas gifts and everyone was getting one. In the now vast nation, trouble started to erupt in small pockets as rebels banded together. This was the time of the first fires and explosions of the hoverboards. Sub-standard low quality hoverboards with unsafe batteries began to catch fire while charging, by overheating, during use and on impact. It was a turning point in the history of the nation, as trouble spread and there was an uprising against the heads of the nation. With numerous fire related accidents, houses burning down to the ground, and millions of dollars worth of property getting destroyed, the dangers of hoverboards became the biggest news everywhere. There was widespread strife and the beginnings of an uprising in the nation, and the leaders began to take stock of what was happening. When the fires and explosions from hoverboards erupted everywhere, airlines, colleges, cities, malls began to ban them and finally the US Govt. stepped in and declared all hoverboards unsafe. In the nation, the leaders had to concede to the demands of the people and a new leadership which included members of the uprising, began to take matters into their hand. CPSC, the Consumer Products Safety Commission, declared hoverboards unsafe unless they were UL 2272 certified. A new constitution was forged for the reborn nation and the greatest minds of the time came together to chart it out. The comprehensive UL 2272 standard for electric self-balancing scooters became the ultimate measure of hoverboard safety, and all companies and brands got down to creating next generation safer smarter hoverboards. In the reborn nation, a new safer and better life began to emerge for the citizens, and a time of peace and prosperity returned. The new hoverboards which were UL 2272 certified were rigorously tested and one brand was launched in the market, the SwagTron. As the nation began to consolidate its strength, it began to regain its lost glory, and was once again it had become a bustling happy nation, but this time with systems and laws in place. The SwagTron hoverboards started to gain in popularity, and people once again took to hoverboarding in the newer second generation safer, technologically advanced UL 2272 certified hoverboards. Before you even think of buying a hoverboard, you have to decide what is more important, $150 or the safety and well being of you and your loved ones. If you feel the safety and well-being of your loved ones and yourself is worth more than $100 -$200, then read on. If not, just head over to eBay or Alibaba or countless other sites retailing unbranded $250 and lower priced hoverboards. Just to put things into perspective, cheap unbranded hoverboard are made by unscrupulous Chinese manufacturers using extremely low quality components including the li-ion batteries which are the biggest cause of fire. Such accidents have burned down entire houses in different parts of the United States, causing hundreds of thousands of dollars of damage and serious threat to the lives of children and adults. The biggest culprit for these fires and explosions is low quality batteries and charging units. Overcharging has caused almost all the fires, with owners leaving the hoverboard to charge either overnight or when they were out of the house. However, there were several instances of hoverboards catching fire while being used. Why we said $150, is because by adding that amount to $250, you will get a completely safe (US Govt. safety approved) hoverboard, that is also the most advanced on the planet today, the SwagTron T1. The SwagTron T1 costs $399 while the SwagTron T3 with high quality BlueTooth speakers, costs $499. How to choose a hoverboard – first things first, the UL 2272 certification! There are a lot of hoverboard out there that cost upwards of $1000, and do not have the UL 2272 certification. Buying one of these hoverboards is plain foolishness, as a UL 2272 certified hoverboard is far superior, infinitely safer, and available to buy right now for just $399 ($389 using our special discount coupon) – check out the world's first UL 2272 certified SwagTron hoverboard. Do not make the mistake of buying a hoverboard that is not UL 2272 certified, no matter how tempted you are by a low price. Let us look at how low and tempting the price of a hoverboard can be. Let’s consider a cheap hoverboard that you can buy right now. We randomly picked this one from Aliexpress, with a ridiculously low price of $108. Our alarm bells went off immediately when we saw the price of the hoverboard being just $108. No one can make decent, and probably even bad quality hoverboards for that price. And our doubts were instantly ratified when we noticed that the shipping cost was an enormous $126 plus. The seller was shipping directly from China and who knows could even be making some money in the shipping component itself. • No branding , unknown Chinese manufacturer as seller. • No proper indication of quality certification. • No sign of the all-important UL 2272 certification. • The shipping cost is ridiculously high. • The hoverboard has no brand, and it is labelled merely as a Smart Balance Board. • There is no US office, branch or location mentioned. • There is no customer service number or option. • The language is very bad, filled with grammar and spelling mistakes. • The warranty is extremely questionable, with only a mention on Aliexpress and nowhere else. • The return and refund policy looks very vague and questionable. • The manufacturer does not have any web presence. • The battery is not branded and has not been certified. • The normal quality certifications are also missing. • It is very obviously Chinese made and by a small factory. • The specifications of the hoverboard are vague and badly written. • The charger is not UL certified or certified by any international agency. • There is no clear contact information. • It looks like left-over stock post the fires, the bans and CPSC’s unsafe announcement. Frankly we wouldn’t buy or recommend a hoverboard that had even one of these issues. With almost 20 problems and risk indications staring you in the face, it would be downright dangerous and idiotic to buy it, if you value your own and your family’s safety. You should stay miles away from such ultra cheap hoverboards. Period. Even if you are saving $200, the risk of fire, injury, property damage and risk to life is NOT worth any amount of money, let alone such a small amount. On the other end of the price spectrum are the most expensive hoverboards that have a well known brand name, but no UL 2272 certification. These hoverboard brands were the first movers in the hoverboard phenomenon and sold large numbers in the first wave, and then when the safety and quality problems came up, they went quiet. Let us have a look at a few of them. They were the biggest name at the time when hoverboards became a phenomenon, and they were flaunted by the biggest celebrities. Their founders, Matt Waxman and Maxx Yellin, who were twenty year-olds when they launched Phukee Duck, stated that they needed to do no marketing at all, and their Instagram following made the hoverboards a rage. Celebrities like Jamie Foxx used the PhunkeeDuck on TV shows, while others used it on YouTube videos, and made this brand famous. The cost of a PhunkeeDuck is around $1,500 and it was the hoverboard to buy until 2015, but now it makes absolutely no sense to buy one. There is no indication on their website about UL 2272 certification, and it only talks about the safety and quality certifications that were already there before the furore over fires and explosions started. Instead of spending $1,500 on a Phunkee Duck, buy four SwagTron T1 hoverboards and everyone in the family will have their very own safe, smart, ultra-advanced UL 2272 certified hoverboard! The IO Hawk is another hoverboard that was considered to be a top of the line hoverboard with high quality components. There is no doubt that they have used good components, but they are definitely not UL 2272 certified as of the time we wrote this article. The IO Hawk costs $ 1,300 and the IO Hawk 2, the new one costs $ 1,800. Their website has no information about UL 2272 certification and does not even clearly state what quality certifications their hoverboard has. The IO Hawk uses the Chinese manufacturer Hangzhou Chic Intelligent Technology (Chic) to manufacture its hoverboards, and imports them into the United States. The IO Hawk again, was one of the big sellers during the first wave, but now, they are lagging far behind the only UL 2272 certified hoverboard the SwagTron. The CEO of IO Hawk, John Soibatian, seems to have plans for the IO Hawk but right now he is wrangling with a patent case with Inventist. The Kiwano is a very new hoverboard brnad, and isn’t yet established, but it is worth mentioning because it was the first oen to claim that it was UL 2272 certified. The Kiwano scooter burst into the scene a few months ago, claiming that they were the world’s first UL 2272 certified hoverboard. We covered this exciting announcement and the new Kiwano KO-X hoverboard in an article. Once the website and the Kiwano scooter became a little popular, we checked back on the website and found that all reference about UL 2272 certification had been removed. It made us very suspicious, and we wrote another piece about how the Kiwano was NOT the world’s first UL 2272 hoverboard. Now, people who had pre-booked the Kiwano in April 2016, are still waiting for the first hoverboards to arrive, and it looks like a huge mess. The Kiwano KO-X costs $ 800, and their website currently claims that they have got the UL 2272 certification and that the first hoverboards will be delivered by August. By the way for $ 800 you can get two SwagTron T3 hoverboards, which are the safest, most advanced and smartest hoverboards on the planet today. Read about them here. This is the hoverboard made by the company of the person who claims to have invented the hoverboard design and patented it in the beginning, Shane Chen. Though this hoverboard looks very sleek and sophisticated, teh technoogy it uses may not be as robust as the best hoverboards int eh market today. It certainly does not match up to the technology of the SwagTron and IO Hawk has claimed that it is not as good as their hoverboards. Though looks like it has good quality components, it does not have UL 2272 certification either. Also Shane Chen has sold his patent to Razor, an American company that makes electric scooters by the name of Razor. The Hovertrax hoverboard costs $995 and comes in black and white color variations. For that price you can buy two SwagTron T3 hoverboards, and each one of them will be far safer and better than one of the Hovertrax hoverboards. There are a couple of other so called ‘branded’ hoverboards, but realized that they were neither here, nor there, so we aren’t covering them in this article. Today in 2018 December, there are hundreds of hoverboard brands and thousands of models that are UL 2272 certified. The industry has evolved, but the best place to buy them is still Amazon. How do we know that they are UL 2272 certified? We have actually checked their listing in the UL website. If you want to see for yourself, then head over to www.ul.com/database and then leaving everything else in the form empty, just enter 'FKIS' (all caps and without the inverted commas) in the UL Category Code option. You will get a list of all self-balancing electric scooters that are UL 2272 certified. 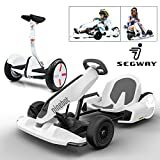 You will see Swagway LLC listed on the 3rd page, and on clicking on the link starting with the text FKIS, you will see a certificate with the SwagTron T1 and the SwagTron T3 mentioned. If you notice, most decent quality hoverboards from the well known brands as well as those sold in eBay display a couple of quality certifications. These are mandatory certifications that are needed to be able to sell electronic goods and transportation devices in the United States and Europe. The most common certifications and what they imply are given below. The UN38.3 is a United Nations set standard for Li-ion or lithium ion batteries. It is especially relevant when electronic items with Li-ion batteries are being transported on air. Prop. 65 is the Safe Drinking Water and Toxic Enforcement Act of 1986. It is a Proposition that protects the state's drinking water sources from being contaminated with harmful chemicals. The UL 2272 certification is different from these certifictaions and standards as it has a direct implication on the safety of the device when it is being used by the end customer. The UL 2272 standard ensures that hoverboards and self balancing scooters are safe in terms of their hardware, software and electrical systems - that their batteries are of a very high standard and will not catch fire, that their build, components and electrical system are as per the highest safety standards to prevents fires and accidents, that they have passed a large number of fire, heat and accidental damage tests, and are safe to ride, use and charge in the USA. The UL 2272 certification is the newest amongst all of these certifications and came into being only in 2016. It was necessitated by the fire hazard that hoverboards were posing across the United States. One of the oldest testing standards and certifications organizations in the world, underwriters Laboratories or UL came into being about 130 years back, and is today the foremost organization in its field. UL developed the UL 2272 standard for the electrical systems of self balancing electric scooters, and it was ratified by the US Govt. in the form of a statement released by the CPSC, the Consumer Products Safety Commission, that said that hoverboards in the United States will be deemed unsafe unless they are UL 2272 certified. The UL 2272 standard is a comprehensive battery of tests, that check the battery, electrical system, software, hardware and components of hoverboards for fire hazards and safety issues. They have a whole range of stress tests that include exposing the battery and the hoverboard to high temperatures, continuous high speeds, impacts and falls. There are multiple tests and checks included in the UL 2272 standard. For a particular model and brand of hoverboards to achieve the UL 2272 standard, it has to go through very severe tests. Amongst the array of tests are several torture tests, such as jamming the wheels of the hoverboard for 7 hours, while the hoverboard tries to free itself. This stress usage will cause the hoverboard to heat up, and the ability of a particular hoverboard to withstand this heat is what is tested. In another test, hoverboards are dropped from a height of one meter (around 3 and a half feet) to a hard concrete floor. The battery tests include one in which the battery is punched with nails. Prety high indirect heat is also applied to the battery to see if it will catch fire or withstand it. These are two videos that shows some of the tests that go into the UL 2272 certification. The hoverboard gained real popularity in 2015, when social media was flooded with them. However, in 2014 itself almost a million hoverboards were sold, according to Chinese market-research firm QY Research. During this first wave of the hoverboard’s popularity, millions of hoverboards were purchased across the United States. Here are some statistics about the number of hoverboards that Americans bought during that period. Today, with the revival of the hoverboards craze thanks to UL 2272 certified hoverboards like SwagTron T1 and SwagTron T3, people across the United States are buying hundreds of thousands of hoverboards during this second wave, which will soon grow even bigger than the first one. The reason this wave of popularity will be bigger is because hoverboards have evolved and these next generation hoverboards are completely safe and fire-proof. They are also technologically more advanced, smarter and more efficient. Though we haven’t yet come across any study about how many hoverboards are being bought by Americans in this second coming of the hoverboard, our own numbers indicate that thousands of SwagTron hoverboards are being bought online every day from the SwagTron website. If we take this as an indicator for the very first hoverboard with UL 2272 certification, and with many more coming in soon, a growing realization across the United States that the new UL 2272 hoverboards are certified safe by the US Govt., we think that all of America is going to be buying hoverboards. It will become a must have for every youngster and every adult who finds them useful for their daily commute or as a fun thing to ride. That means millions and millions of them are on their way to American homes. The patent wars concerning the hoverboard are quite complex. Segway is suing everyone, Shane Chen of Inventist, who had started the Hovertrax hoverboard as a kickstarter project, is suing IO Hawk and Ninebot, Chic is suing other hoverboard companies, Razor, which has bought Shane Chen;s patents, is suing Ninebot. Segway says that many of their patents are being infringed upon by all hoverboard companies. The scenario is a complete mess. Here is our attempt to simplify the complex patent situation and try and put it in some kind of chronological order. It started first with Shane Chen filing for a patent in 2012 for his two-wheeled balance board, an idea he got while trying to create a toy that would not be as bulky as the Segway or as difficult to learn as his own invention the Orbit Wheels and the Solo Wheel. Shane Chen is the founder of the company Inventist. He started a kickstarter project for it in 2013, and raised $80,000 funding. He began to manufacture the Hovertrax, his model of the hoverboard in China, and at about that time Chinese companies started to copy it. Hangzhou Chic Intelligent Technology (Chic), a leading Chinese manufacturer in this area was one of the first to make the hoverboards. Around 2013 the CEO of IO Hawk started to import hoverboards from Chic, and selling them in the US under the brand name IO Hawk. Many other companies also began to sell hoverboards made in China in the US. Phunkee Duck was a big player during this time. Around that time, Inventist, the company owned by Shane Chen, filed a patent against IO Hawk saying that his patents were being infringed by IO Hawk. Meanwhile Segway filed a patent against a company called Ninebot in China which is backed by cell phone manufacturing giant Xiaomi. Ninebot in retaliation bought Segway and became the owner of all their patents. Now Ninebot with Segway patents, filed a patent case against razor, which has Shane Chen's original patents. Sometime in 2014, Chic filed a patent case against other hoverboard manufactures claiming that it was the first to make hoverboards in China. As you can see, the current patent situation for hoverboards is a big mess, and it doesn’t look like it’s going to clear up very soon. The best thing to do is to wait for the patent cases to conclude and see who all are left with the patents for the hoverboard. Whichever company or companies do end up with the patents, will be making millions in licensing fees from the many hoverboard companies currently in the market, both in the US and in China. UL Approved hoverboards are the next generation hoverboards that are certified by UL or Underwriters Laboratories, the world’s leading testing and standards organization that is 117 years old, to be absolutely safe. The UL 2272 certification means that the electric self balancing scooter will not catch on fire, its battery is high quality and will not catch fire under normal and even stress conditions. A UL approved hoverboard has enhanced safety features that make it absolutely safe to use, and eliminates all risks of fire, battery and quality related issues. The UL 2272 standard is for the electrical system of self balancing electrical scooters or hoverboards, and the UL 2271 is for the battery. All UL approved hoverboards are listed in the UL.com website and can be accessed through ul.com/database, where you need to fill in FKIS in category and hit submit to get the list of UL certified hoverboards. The Underwriters’ Laboratories UL2272 standard involves extensive and high stress tests on hoverboards. These tests cover all aspects of the hoverboard, and include drop tests, crash test, overheating tests and many more besides. There are a series of tests designed specifically for the battery of the hoverboards, such as overcharging and heating up. Amongst the many others, the hoverboards have to pass tests on impact, short-circuit, over-discharge, vibration, shock, imbalanced charging, dieleltric voltage, crush, mold stress relief tests etc. and it also includes CT scans of hoverboard batteries. At Best Hoverboard Brands, we only recommend hoverboards that are UL 2272 certified. We have checked out several hoverboards that are UL approved, and bring you a few of them here. The important thing to verify about UL 2272 approved hoverboards is their actual UL 2272 certification on the UL.com website. The hoverboards we are recommending below have their UL certification clearly showcased on the UL website, and in fact we have linked to the certifications so that you can have a look at them. The first hoverboard we will look at is a relatively new entry to the UL 2272 certified list of hoverboards, it is the Skque 6.5" hoverboard. Skque has an office in Irwindale, California and it gets its Skque branded hoverboards manufactured by a leading manufacturer by the name of Wuyi Metal Works. We present here two documents certifying the veracity of the UL 2272 certification of the Skque 6.5 inch wheel hoverboard. The first is a declaration that their hoverboard has been manufactured by Wuyi Metal Woks and specifying the model number and the fact that it is UL certified. The second is the actual UL certification that is displayed on the UL.com website. This is an image of the certificate, and you can have a look at the original live page here. The Skque UL 2272 approved hoverboard is a robust self-balancing hoverboard that has the assurance of Skque’s over 14 years in the business, since 2003. The hoverboard is quite robust and is a very good choice if you are planning to buy one now. To buy the Skque UL 2272 approved hoverboard directly from Amazon, click here. Get my SKQUE UL 2272 hoverboard now! We have extensively covered the SwagTron hoverboards. These hoverboards were the first to get UL 2272 certification, and come in two models – SwagTron T1 and SwagTron T3. Click ﻿here is see the UL certification of the SwagTron hoverboards. You can buy a SwagTron hoverboard directly from Amazon - click here! The Segway miniPRO is slightly different from the regular two-wheel hoverboards as it has a knee-operated control shaft attached to the middle of the hoverboard. Made by Segway, this hoverboard is UL2272 certified, and it has a different design from the usual hoverboards. The control shaft is height adjustable and quite easy to control with your knees. It makes controlling your direction quite easy. The good thing about the Segway miniPRO is that its learning curve is much quicker and easier than of a regular hoverboard. Anyone can get on it and ride it. It also has a very dynamic smartphoen app that enables remote locking and movement etc. Here is the Amazon listing of the Segway miniPRO. We hope you have a fair idea of UL 2272 approved hoverboards now, and can make a buying decision with more confidence. ​We do recommend that you have a look at the Skque UL 2272 hoverboard, as it is a good choice at a good price point. Now that UL 2272 certified hoverboards are retailing in the US, it is imperative that you only buy those hoverboard that are UL 2272 certified, like the SwagTron T1 and the SwagTron T3. It is equally important to buy hoverboards that are genuine UL 2272 certified, and there are several ways to ensure the same. UL has given us three main ways to identify the veracity of a hoverboard’s UL 2272 certifictaion. The third way is to check on the UL website whether the particular hoverboard is listed amongst their UL 2272 certified hoverboard models. The way to do that is to first visit www.ul.com/database and then enter a manufacturer’s name (or leave it empty), with the UL Category Code as ‘FKIS’, all capital letters without the quotes. Sometimes the name of the original manufacturer may not be the same as the name of the brand that you may know about, and in that case you can just do a search without putting any manufacturer name and only specifying the category as FKIS. You will get a list of manufacturers that have got the UL 2272 certification. For example in the case of the SwagTron T1 and SwagTron T3, they are listed as T1 and T3 under the name of the original manufacturer, which is different from SwagTron. You can find their UL certification document here - UL 2272 Standard for SwagTron T3 and SwagTrin T1. The U.S. Consumer Products Safety Commission (CPSC) stated in a letter issued on 18th February 2016 that all hoverboards must have UL 2272 certification to be sold in the US and to be declared safe to use. The letter essentially says that all parties have to make certain that the self-balancing scooters they import, manufacture, distribute or sell in the United States comply with the UL 2272 standards. The SwagTron hoverboards are the first UL 2272 certified hoverobards to retail in the US, and are the world’s first hoverboard whose battery has passed the original UL 10-ton battery crush test. They are also the safest and the most advanced hoverboards on the planet today. You can check them out here. Want to bring home the world's best UL 2272 hoverboard, read all about the SwagTron here. THE MIGHTIEST OF THE MIGHTY! It is probably the best, safest and most advanced hoverboard or mini Segway in the world today, the SwagTron T3. Launched by Swagway which has now been renamed to SwagTron, this hoverboard is everyone’s dream come true. The world’s first hoverboard to pass the new UL 2272 standard for hoverboards, it has a host of safety features that are unparalleled in the world today. The only other personal transportation electric scooter to have the UL 2272 certification is the Segway MiniPro at $599, which has a knee control handle bar and is not a true handle-bar-less two wheel hoverboard. Moreover, the price of the SwagTron T3 is only $299. The SwagTron T3’s most powerful safety feature is the patented SentryShield battery system which has its own UL 2271 classification. SentryShield is a multi-layer battery protection system that encases the battery in a special fire-proof and damage-proof aluminum case. It is this SentryShield battery system of the SwagTron that has made it the world’s first hoverboard and the only self-balancing scooter product to pass UL’s original 10-ton battery crush test. It also has a special fire-retardant body, and many other safety features and enhancements, that we will discuss next. Swagway has truly been an industry leader and has invested its resources into extensive research and development to set a new unprecedented standard for safety, performance and function for the entire hoverboard or the self-balancing scooter industry. Let us have a close look at what all the SwagTron T3 offers. Underwriter’s Laboratories or UL is the leading global safety and quality certification agency which has been in existence for over 140 years. It is the foremost certification and standards organization in the United States and has been the definitive standard for safety in every industry for more than a century. It developed the comprehensive, rigorous and extremely difficult to achieve UL 2272 standard for safety and quality in self-balancing electric boards after the widespread fire hazard incidents across the United States. The CPSC the US Govt. agency, the Consumer Products Safety Commission announced that all hoverboards in the United States are unsafe unless they are UL 2272 certified, and since then there has been a blanket ban of import of non UL 2272 hoverboards into the United States. SwagTron is the world’s first two-wheel self-balancing personal transportation electric board to have achieve the UL 2272 certification, and its SwagTron T3 is the personification of safety, performance, function and the very highest standards of quality. It is truly the safest and most advanced hoverboard in the world today. It is also the world's first self-balancing scooter approved under the UL label to retail in the USA. The Smart Battery Management System of the SwagTron T3 is a unique and comprehensive battery management system that constantly monitors overvoltage, temperature increases, overcharging of the battery, overcurrent and short circuit protection. It is a very strong protection by itself, against battery over-charging and short circuits. The SentryShield battery system is an air-tight aluminum chamber that encases the lithium-ion battery. It is not only a powerful protection against any fire, it also protects the battery from any damage. It is a multilayer battery protection system that has its own UL 2271 certification. This SentryShield battery system is also the reason why the SwagTron is the world’s first self-balancing electric board to pass the original UL 10-ton battery crush test. The SwagTron has multiple safety features, especially against fire. In a first for hoverboards, the SwagTron has sealed circuit boards and connectors and has a fire-retardant coating on all internal components. This is yet another feature that makes the SwagTron the safest hoverboard in the world today. SwagTron T3 boasts an upgraded dual independent motor and gear stabilization which translates into much better and sturdier control of the hoverboard. This same stabilization has also been incorporated into the learning mode making it easier for beginners to learn how to ride the hoverboard. Another additional feature is the Downhill Traction feature that enables smoother and controlled downhill movement of the hoverboard. This upgraded and advanced Downhill Traction prevents the hoverboard from speeding up when going downhill and improves the overall riding experience. This enhanced dual independent motor and gear control also improves the high speed use of the hoverboard. The proprietary polycarbonate shell of the SwagTron is another amazing feature that works to remove and fire safety issues. The body of the SwagTron T3 is made of a material that is incombustible and fire retardant, yet it is light and strong. It is made from a proprietary polycarbonate material identified through extensive research by Swagway. This material is also durable, sturdy and long lasting. Along with a host of other enhancements and far more advanced hardware and software, even the foot pads of the SwagTron have been upgraded to the next level. The foot pads are now wider, and have been specially made non-slip providing a better overall grip. This means you will have even better control as there will be no slipping of your footwear, when you use the SwagTron T3’s enhanced grip wider foot pads. And over all of these improvements the foot pads are also flame retardant. The SwagTron T3 features open wheels which means that there is better wheel rotation clearance and also maintenance is easier. The tires of the SwagTron are also made of a superior material which gives extra traction to the smart balance board. The SwagTron also features high grade aluminum wheels to add to the many other enhancements. The SwagTron T3 comes with not two but three riding modes. There is the learner mode in which speed is reduced and stabilization is increased to help learners to ride the hoverboard with greater ease and control. In the Learner mode the sensitivity of the foot pads is also lower so that the first-timers can get used to maneuvering it before getting into the Standard mode. In the Standard mode the hoverboard’s speed goes up to normal and it gets reset to the regular settings of foot pad sensitivity, stabilization, speed etc. A third mode is available through the SwagTron smartphone App, which opens the Pro mode. In the Pro mode the built-in speed restriction of the hoverboard are removed. Thus there is no restriction of speed, and expert and pro hoverboard riders can enjoy the full power and performance of the SwagTron T3. The SwagTron is a zero emissions product, environment friendly and has every safety and quality certification that is needed for self-balancing electric scooters. It is UL 2272 certified, and it has all required environmental standards and certifications including UN38.3, FCC, CE, RohS and Prop 65. The SwagTron T3 is truly the hoverboard of the future and for the future. The SwagTron T3 also has a brand new App which enables the third Pro mode to be activated. The Pro mode removes all speed restrictions for seasoned riders. This new SwagTron App also has many other features and add-ons. It enables riders to check route history, monitor your battery status details closely, set routes and much more. The SwagTron T2 has robust BlueTooth quad speakers on the underside which will enable you to stream music from your mobile device, so that you can enjoy your music as you glide along on the world’s most advanced and safest hoverboard, the SwagTron T3. The stylish new SwagTron has distinct looks and also has color-coded Led lights that illuminate to indicate movement. To bring in never before levels of functional enhancements, the battery indicator on the SwagTron T3 has a five level indicator panel, which will give the rider a much clearer idea of the level of battery. On the underside of the SwagTron T3 is a built-in carry strap made of a high quality enhanced strength fabric that will allow you to carry it with never before ease. Now you simply need to pick it up by the carry strap under it to carry it along whenever needed. No need to put it into a bag or hold it uncomfortably with both hands, just grab the carry strap and take it up the stairs or anywhere you need to go. The SwagTron T3 will ship free within the United States and will reach you very quickly. Here is a detailed map indicating how long it will take for the free shipping to bring your SwagTron T3 home. The SwagTron T3 box will contain the T3 Hands Free Smart Board, its high quality UL certified AC Charging Adapter and a SwagTron T3 Owner's Manual. The SwagTron T3 is available in Black, White, Red, Blue, Pink and Gold colors, and its dimensions are – Height - 4 inches, Width - 23 inches and Depth - 7 inches. It weighs 22 pounds (10 kgs) and has a maximum speed of 8 miles per hour and can travel up to 20 miles per charge. Its carrying capacity is 220 pounds (100 kgs). It has a high quality safety tested and UL certified Lithium-Ion Battery. Here is our previous review of the SwagTron when it had first been featured in the CES (Consumer Electronics Show) back in January 2016. SwagTron, sounds a bit like a Transformers autobot doesn’t it? However, it deserves that name, because it is a definite evolution from the previous models of hoverboards. The biggest difference – it is fire retardant and has much higher levels of safety built into it i.e. it has been specifically designed to be fire and fire-related defects proof. The new Swagway SwagTron hoverboard is being called the ‘the safest and most technologically advanced personal transportation device available on the market’ by Swagway. The SwagTron is actually a clear indication of the level of commitment of the company and of CEO Johnny Zhu. Not only has Swagway developed a safer next generation hoverboard ahead of the others, the company is also working with the United States Consumer Product Safety Commission to create a set of best practices and testing standards for the entire hoverboard industry. Let’s get down to the details of the exciting new SwagTron. Swagway, by the way, is the biggest player in the US hoverboard market, and currently has almost a 70% market share. Swagway’s CEO, Johnny Zhu, who is soft-spoken and camera shy, says that the SwagTron has been built with safety in mind. In CES 2016, the SwagTron was displayed with two variants, one with Bluetooth speakers and one without. The only other hoverboard brand that featured a safer hoverboard in CES 2016 was Razor. Here is what makes the SwagTron better than any previous hoverboards. Its body is made from a fir-retardant plastic, its footpads are also made from fire-retardant material, its battery is inside an aluminum casing and it has a carrying handle on the underside. It uses Sentry Shield™ technology to prevent fires. Another important feature is a unique design that will make it difficult for cheap Chinese copies to be made. The Bluetooth SwagTron will feature Quad Bluetooth Speakers, and for this Bluetooth version there is a cool smartphone app that will tell you the speed, the amount of charge left, whether it is in the learner’s or sporty mode, your location and a bunch of other things. Let’s look at each feature of the SwagTron a little more closely. Fire-retardant Plastic Chassis – This will play an important role in containing any kind of fire, as the main body of the SwagTron will be fire-retardant. The material is poly-carbonate (fire-resistant) hard plastic, and the entire shell is made from it. Fire-retardant Footpads – The footpads control the motors of the hoverboard and are the part which stays in contact with the rider. Making the rubber footboards fire-retardant means the chances of fire injury are much reduced for the person riding the hoverboard. Sentry Shield™ technology wrapping the battery – The battery of the SwagTron will be encased in an aluminum chamber, that has been built using the Sentry Shield technology. This lithium-ion battery is the biggest cause of fires and explosions, and encasing it in a special aluminum chamber is the biggest add-on safety feature of the SwagTron. Fire-retardant coating on internal components – In the inside of the SwagTron, all the major components like wires and circuit boards have bene coated with a special fire-retardant coating. This is a further enhancement, to make the hoverboard fire-proof. Bluetooth Speakers – One variant of the SwagTron will feature bluetooth speakers. These Quad Bluetooth Speakers will be towards the underside of the hoverboard. Smarphone App – A cool smartphone app will enable the rider to check speed, battery charge, mode, location and several other factors. Unique Design – The SwagTron has a unique design and shape, that will make it difficult to be copied. One of the problems Swagway is having, is with copies of its Swagway X1 model. Fabric Carry Strap built-in – On the underside of the SwagTron is a built-in carrying strap that will add new convenience to this hoverboard. The carrying strap is made of a strong fabric. Swagtron T3 vs T1 vs T5! Both the SwagTron T3 and the SwagTron T1 are fantastic hoverboards. People who have already bought them, are raving about them. One look at the reviews and comments of actual buyers, and you will know that SwagtRon makes really superior and extremely safe hoverboards. Go ahead and choose either the SwagTron T3 or the T1 and you will be sure of an extremely high quality yet affordable hoverboard. If you are actually getting down to deciding between the SwagTron T3 and the SwagTron T1, the price is certainly a factor. The SwagTron T3 is priced at a hundred dollars more than the SwagTron T1. However there are certain things that the T3 has that the T1 doesn't. to name a few - High Quality BlueTooth Speakers, Smartphone App, In-built Carry-Strap, Ultra Stylish Futuristic looks, a third riding mode etc. The SwagTron T3 has high quality HQ BlueTooth Speakers, a really useful multi-featured Smartphone App, a third Pro Mode for riding that can only be opened with the App, futuristic awesome looks and a five point advanced battery charge indicator. The SwagTron T3 is incredible, but the SwagTron T1 is no less. When it comes to all the other features like Sentry Shield Battery System, UL 2272 certification, Smart Battery Management System and almost 30 other enhancements in hardware and software, they are identical. The CPSC had stated that unless hoverboards have UL 2272 certification it is not deemed safe to retail, import or buy. The SwagTron hoverboards are not only UL 2272 certified, they also have the Sentry Shield Battery System that is unique and patented. This Sentry Shield Battery System has enabled the SwagTron hoverboards to become the world’s only self-balancing hoverboards to pass the original UL 10-ton battery crush test. Their Smart Battery Management System also gives them an edge over other hoverboards in the market. If you want a robust safe and UL certified hoverboard that has everything needed to enjoy a safe hoverboarding experience, then go in for the SwagTron T1. The SwagTron T1 is $50 cheaper than the T3, and it is a great choice for first time hoverboard buyers. If you want all the bells and whistles and especially want to hear high quality music as you swing by in your hoverboard then the T3 is for you. It costs more, but it also packs extras like the HQ BlueTooth speakers, Smartphone App that lets you track your route, check speed and charge and even contact customer service and the third riding mode, the Pro mode. It does appear like the SwagTron T1 will be bought by more people as they will be satisfied with a UL 2272 hoverboard that is certified safe by the US Govt. and has everything and more than any other hoverboard on the planet. However, with the awesome looks, and the BlueTooth speakers of the SwagTron T3, and just a hundred dollar price difference even the SwagTron T3 will be very popular. In fact in a survey we did on the SwagTron hoverboards, we found the number of sales to be almost equal. Here is a representation of the number of SwagTron T3 sales versus the SwagTron T1 sales. Whichever one you go for, as long as it is a SwagTron you are good. SwagTron T1 or SwagTron T3? How to choose a SwagTron hoverboard. Need to decide between the SwagTron T3 and the SwagTron T1? Well the price is certainly a deciding point with the SwagTron T3 being $50 more than the T1, but there are other considerations. If you look at the main differences between the SwagTron T3 and the SwagTron T1, it would be the high quality Bluetooth speakers, the futuristic stylish new looks, the in-built carry strap, the 5 point battery charge indicator, the Smartphone App, and the Pro Mode for expert hoverboard riders. All of these features are exclusive to the SwagTron T3. If you want all the bells and whistles and especially want to hear high quality music as you swing by in your hoverboard then the T3 is for you. It costs 50 dollars more, but it also pack extras like the HQ BlueTooth speakers, Smartphone App that lets you track your route, check speed and charge and even contact customer service and the third riding mode, the Pro mode. Both are there to buy right now, but whether you want to spend that extra $100 and go in for the undisputed champion hoverboard of the world or the one that is a close second is your choice. Whichever one you go for, as long as it is a SwagTron you are good. Hoverboards are safer, better, smarter and smoother because of the SwagTrons. Happy SwagTron-ing! SwagTron hoverboards on Amazon with a single sweep display of all colors and models is the easiest way for you to pick out the SwagTron T3 or SwagTron T1 that you want to buy. It was only last month, that is June ‘16, that Amazon brought hoverboards back to their website. They had pulled out every single hoverboard or mini Segway from their website over growing fears of fires and explosions caused by low quality hoverboards. Only when SwagTron the world’s first UL 2272 certified hoverboard came out, and Amazon was convinced of their safety and quality that they put them on their website. The Us Government agency CPSC or the Consumer Products Safety Commission had stated that all hoverboards in the United States are unsafe unless UL 2272 certified. At that time none of the hoverboards were UL 2272 certified but then Swagway went full steam ahead and brought out their next generation SwagTron hoverboards that weren’t just UL 2272 certified but had the patented Sentry Shield Battery System that is the safest in the world when it comes to electric scooters. Here is a single sweep look at all the fabulous SwagTron hoverboards selling on Amazon. Click on the image to get a closer and grander look at each model and color. More and more people are buying the SwagTron hoverboards from Amazon, primarily because they trust Amazon’s judgement on the safety of the hoverboard and also because of the 30 days return policy of Amazon, which is a great safety net in case your hoverboard arrives with a defect. On Amazon you can also check out the Segway MiniPro. It isn’t a regular hoverboard, it has a handle in between which enables one to control the electric scooter with one’s knees. 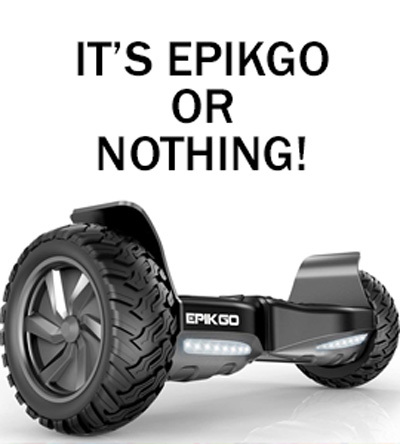 The Segway MiniPro is a great e-rideable and you will find it here. How much is a hoverboard in 2018 - With the introduction of the SwagTron T1, a whole new era started in the hoverboard industry. UL 2272 has now become a basic necessity for hoverboards. SwagTron has gone ahed and introduced a range of scooters, skateboards and bikes too. Amongst the hoverboards the newest addition is the SwagTron T6 which is an off-road hoverboard. Despite being a global leader, SwagTron is still the most competitively priced hoverboard. Go ahead and explore the best, safest and the most advanced hoverboards in the world today. SwagTron has been able to achieve this low price point mainly because it is already one of the largest selling hoverboards in the United States and with the economies of scale in their advantage, they have decided to extend a lower price to customers. SwagTron is leading the way for the hoverboard industry and is at the forefront of innovations and introducing new standards in the market. Sentry Shield Battery System – This multilayer battery safety system has passed the UL 10-ton battery crush test, making it the world’s first hoverboard to have done so. Smart Battery Management System – The SBMS ensures that there is no overcharging, overcurrent, overvoltage or short circuit in the hoverboard. Fire-retardant Silicone Coating – All internal components, especially the circuit boards and the wiring has a special fire-retardant coating. Safe Stop Technology – This smart technology prevents sudden stops of the SwagTron hoverboard. Enhanced Hardware and Software – Overall the SwagTron is a far advanced version of any other hoverboard in terms of being a smarter and more technologically advanced personal transportation device. There are over 30 ﻿﻿enhancements and exclusive features that the SwagTrons have, that distinguish it from any other hoverboard and make them the best hoverboards in the world today. The SwagTron T3 is priced higher at $399 because it has high quality BlueTooth speakers, an advanced Smartphone App (Android and iOS) and an uber-smart futuristic design. The price difference is $100 and you do get the most advanced and undeniably the best hoverboard in the world, when you buy the SwagTron T3. Of course now with the launch of the SwagTron T6 we have the most advanced and powerful off-roader hoverboard in the market priced at $399. The SwagTron T1 is as good as the T3 in almost every respect, but it does not have the BlueTooth speakers and the killer looks. Another great feature of the SwagTron hoverboards that is often overlooked is the stabilized and reduced speed Learner mode. In other hoverboards the Learner mode keeps the footpads as sensitive to pressure as in other modes and only reduces the maximum speed. In the SwagTrons the Learner mode brings in extra stabilization, making it easier for the first-time user to learn how to ride the hoverboard. This will enable a lot more people to learn and master the hoverboard, and will also reduce the risk of falls and injury. If you are thinking about buying a hoverboard any time, we strongly suggest that you pick up a SwagTron. You can head on over to the SwagTron website and have a look at all the models and the colours available now. SwagTron T8 Review – new hoverboard doesn’t have lithium ion batteries and is UL 2272 certified – go for safety, go for SwagTron T8! The SwagTron T8 has just been introduced by SwagTron and is probably the only hoverboard in the world right now that runs on a non-li-ion battery. It uses a conventional Lead acid battery that is without any of the risks attached to lithium ion batteries. In case you haven’t heard, most airlines have completely banned smart luggage as they contain li-ion batteries. Though all SwagTron hoverboards are UL 2272 certified for safety, and are perfectly safe to buy and use, the idea of a non-li-ion battery hoverboard is fabulous. The biggest advantage of a Lead Acid battery is inherent self discharge and overcharge protection. Something that li-ion batteries are notorious for not having, and that had been the cause so many accidents not too long back. They are very reliable; have low self discharge probably the lowest, low maintenance, high discharge rate capability. They deliver low, steady level of power for a longer time. They need protective circuits for safety as they are not as robust as lead acid batteries. But they do have high open circuit voltage which increases with state of charge. They are sensitive to high temperatures. They age very quickly and rate of degradation is faster with increase of temperature and should not be discharged completely. The SwagTron T8 has a great set of features, and since it incorporates the lead acid batteries, they are inherently much safer than all other hoverboards. That said, it is also quite inexpensive compared to other SwagTron hoverboards and comes in the range of about $179. Frankly if you want to give your son or daughter a hoverboard, give them a SwagTron T8. It is ideal in many ways. You will never have to worry about the battery overcharging and becoming a hazard, or about any heating related issues. Also it has a special ‘start up stability’ feature, that makes it easier to mount and ride, even if you are a beginner. It makes the hoverboard stabler, so that you can get your balance more easily while stepping on to it. For younger children and first timers, this is the best way to hoverboard. We have got the SwagTron T8 detailed User Manual so that you can read all about its minute details before buying it. The user manual has all the specifications and also talk about how to use this hoverboard for best effect and how to keep it well maintained. It is not really necessary to read through the owner’s manual, but if you really want to get into the details, then download it and read it. The T8 is UL 2272 certified and is ultra safe. It has passed a range of tests that certify its electrical circuit and the hoverboard safe as per UL standards. Whether it is campus hills or sidewalk inclines, the 200 watt motors in each wheel of the SwagTron T8 will let you easily go over 30° inclines, helped by the traction of its hard rubber 6 inch wheels. There are several advantages, but compared to other SwagTron hoverboards, it lags behind in a few things. Though it has just been launched, and that too very quietly, people have already begun to rave about it. Here are a few reviews from actual buyers of the SwagTron T8 non-lithium battery UL 2272 certified hoverboard. Arikon bought the T8 and rode it for some time before giving a review. He gave it full 5 stars rating and said that it is an absolutely awesome hoverboard. According to Arikon, who purchased a Black SwagTron T8, he purchased it for his 6 year old son and in one word the hoverboard is ‘wow’. It was his Christmas present for his son, but before he gave it to his son, he wanted to give it a try himself. He said that he had never ridden a hoverboard before but with the T8, he got the hang of it within a few minutes. He found it very easy to ride, he found the construct of the hoverboard to be very strong and robust. He then goes on to recommend it very highly for both kids and adults. Arikon was so thrilled that he plans to buy one T8 hoverboard for every member of his family. Another key point he made was that the delivery through Amazon was super fast and he got his hoverboard within 2 days. Jade Leeon is another verified purchaser of the SwagTron T8, who has given the hoveboard a straight 5 stars out of 5. Jade bought the black T8, and found it to be extremely affordable (with an under $180 price tag it is really one of the cheapest around today). Jade is a youngster and learnt to ride the T8 on his second attempt ever. Pretty great! He is taking it to school everyday, and is totally loving it. Shenon is another verified buyer who bought the T8 and surprisingly rides it to his office. Shanon gave the SwagTron T8 5 stars out of 5 because of its convenience, affordability and easy riding. Shanon bought the T8 in the beginning of December 2018. With such great reviews coming in so fast, isn’t it time you at least checked out the T8. It will make a great Christmas or overall holidays gift for anyone. Have a look at it here – Buy SwagTron T8! Get SwagTron Hoverboards in easy monthly payments or installments over 3, 6 and 12 months! Also get SwagTron electric scooters, electric skateboards, SwagCycle, SwagBoard, Swagger, SwagRoller, Voyager in easy monthly payments over 3, 6 and 12 months. Now you can get any product from the awesome SwagTron lineup on easy monthly installments. All you need to do is choose the Affirm option on check out. You will not only get the hoverboards, electric scooters, electric skateboards and everything else on easy monthly payments. Have a look at this step by step explanation to see how you get the easy monthly payments options. Here is what the easy monthly payments of the different SwagTron Products will be when you choose the Affirm option. EASY MONTHLY PAYMENT CHART - from $14.73 per month! EASY MONTHLY PAYMENT CHART - from $31.40 per month! EASY MONTHLY PAYMENT CHART - from $40.67 per month! EASY MONTHLY PAYMENT CHART - from $26.77 per month! EASY MONTHLY PAYMENT CHART - from $22.14 per month! EASY MONTHLY PAYMENT CHART - from $17.51 per month! EASY MONTHLY PAYMENT CHART - from $36.03 per month! The Swagger e-Scooter by Swagtron has just been launched and it is a really good model, which has the incredible advantage of being UL 2272 certified. The UL 2272 certification means that the Swagger’s electric systems, battery and components are fire-proof and extremely safe. The Swagger electric scooter has a top speed of 15 miles per hour and can go 17 miles on a full charge. Swagtron has used their innovative technology and UL 2272 approved self balancing electrical systems expertise to make the Swagger a very safe and robust e-Scooter. Swagtron hoverboards were the world’s first UL 2272 certified hoverboards to retail in the United States and are a cut above all other hoverboards today. The Swagtron T3 and the SwagTron T1 are two of the best hoverboards in the world today, and the Swagboard NG-1 is a very high quality electric skateboard, that is also a part of the Swagtron array. The Swagger has a built-in stand for parking, which also makes it very convenient to charge it. It is completely collapsible and its handles are detachable, making it easy to store or carry. It gets a full charge in 1.5 hours, and runs 17 miles on a full charge. It has an LED display conveniently placed on the handle through which the speed can be changed, an odometer to track your ride distance and it also offers easy battery management. It also has three gearing levels for precise control of speed. It has a throttle for acceleration, a headlamp and conveniently placed handbrakes and a footbrakes, for maximum control. The Swagger also has a built in Cruise Control which can be set at any speed. Overall the Swagger is a great buy at just $399, and will be a great choice not just by kids but for adults too. You can buy the Swagger from the official Swagtron website. Swagboard awesome new electric skateboard from Swagtron – full review here! Swagboard next gen electric skateboard - forget the hoverboard it's time to ride the future! The all new awesome Swagboard electric skateboard has arrived, and it’ll take you on a ride into the future. This cool looking skateboard actually has an electric motor powering it! And it will go at 11 MPH, and 10 miles per charge. And it has the ultra-safe patented Sentry Shield Battery System! Swagboard, the Next Gen Electric Skateboard with alloy encased Sentry Shield Battery System is here to change the way you move! If you haven’t tried the Swagboard, you really haven’t done nothing! It’s the new sensation, and it’ll give you all the freedom and joy of skateboarding with the added power of a motor that will keep you moving! The brilliantly crafted Swagboard™ is everything you love about a skateboard, re-imagined for the future. This futuristic masterpiece is made from a 7-ply Canadian maple wood deck, durable polyurethane wheels, and solid grip tape. It’s powered by a 24V, Li-On Fe battery, featuring the ultra-safe patented SentryShield™ battery system. A wireless remote for it displays its charge any time you want to check it. Ride up to 11 MPH or just go on cruise control. It will take you up to 10 miles on a single charge. Get on to the future with the Swagboard! • 7-ply Canadian maple wood deck with grip tape Crafted with a durable 7-Ply Maple Wood Deck increases stabilization, providing comfort, better control and tough, long-lasting durability. • Easy riding with good overall flexibility SWAGBOARD™ flexes and gives you a less rigid, more comfortable, smoother ride and better precision control for tighter turns. • Light weight with Patented SentryShield™ Design with Li-On Fe Battery SWAGBOARD’s™ heavy-duty but lightweight Battery pack houses and protects a high-quality 24V Li-on Fe Battery. • Wireless remote control with automatic pairing the hand-held wireless remote fits comfortably in your hand, giving you precision control with smooth, gradual acceleration and steady, controlled breaking. • Cruise Control functionality The SWAGBOARD’s™ Cruise Control may be set to continue moving at the current speed with no need to continue pressing any buttons from your remote control. Making the right choice isnt easy 🙂 (even though there is a lot of information).